Hero Arts Rubber Stamps THREE JAPANESE DOLLS lp126 at Simon Says STAMP! lp126 /3.2 This item is on reserve until If you would like to reserve this item now, you may purchase it now with the rest of your order. We will hold your order now and ship your entire order as soon as this item is back into stock. If you would like your order to ship now, please place this item on a separate order. Success, Hero Arts Rubber Stamps THREE JAPANESE DOLLS lp126 has been shared! 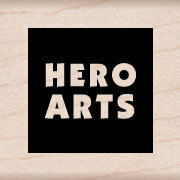 Hero Arts is the leading manufacturer of wood mounted stamps. This stamp has a quality heavy weight wood mount, and thick foam with deeply etched Rubber. You can find many more stamps and accessories in our store! We stock and carry the entire Hero Arts collection! For over 25 years, Hero Arts has handcrafted rubber stamps to help inspire our creativity. A set of three charming Japanese dolls in traditional hairstyles and kimonos. Each stamp is about 2.25 inches tall.